Tiny Explorers is a program of the Children’s Forest that encourages new parents to kickstart a healthy lifestyle by getting their children outdoors. The program is targeted towards new families with infants and toddlers from 0-3 years of age. The program is an 8-week series and each week has a different theme and location, allowing families to discover natural areas for their own family outings. This week’s theme was Giant Bird’s Nest and the program was located at Riley Ranch Nature Preserve. The program began with a fun introductory song to introduce the families. Next, Alexis, the volunteer coordinating the programs in Bend, announced the shape of the week. Incorporating shapes is a great way to promote cognitive development by encouraging children to categorize what they see with the diverse world around them. This week’s shape was a circle, a fitting shape for the program’s bird nest theme. After the introductions, it was time to dive into the activities! 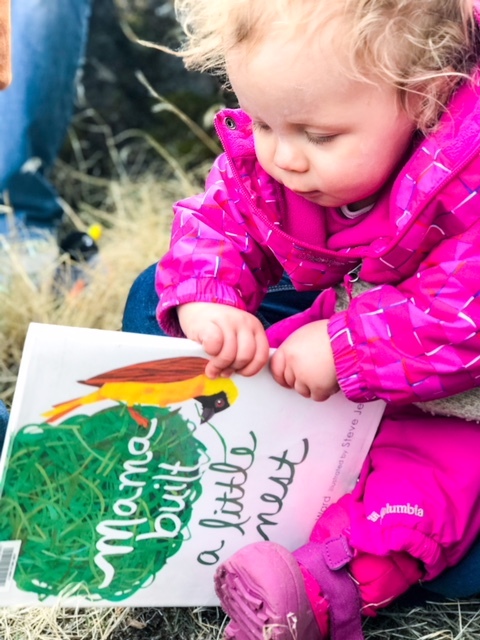 Tiny Explorers activities are designed to to connect children with their senses and encourage play and exploration of the natural world. 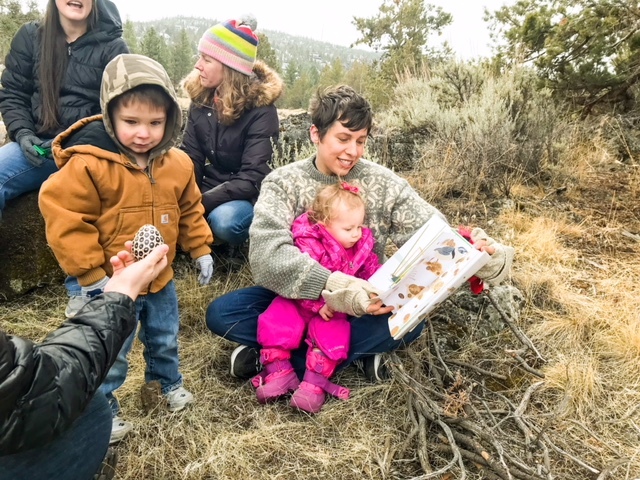 Parents and toddlers explored Riley Ranch Nature Preserve, collecting sticks and twigs in an effort to create one giant bird nest to unite the families. After the nest was completed, participants gathered around for story time. “We try to incorporate songs and stories into every session” said Alexis, adding that it is important to design activities appropriate for the age level to encourage learning. After the activities were over, parents and their children had free time to play and socialize. The Tiny Explorers program aims to create a space where families can network with one another, benefiting both parents and their children. 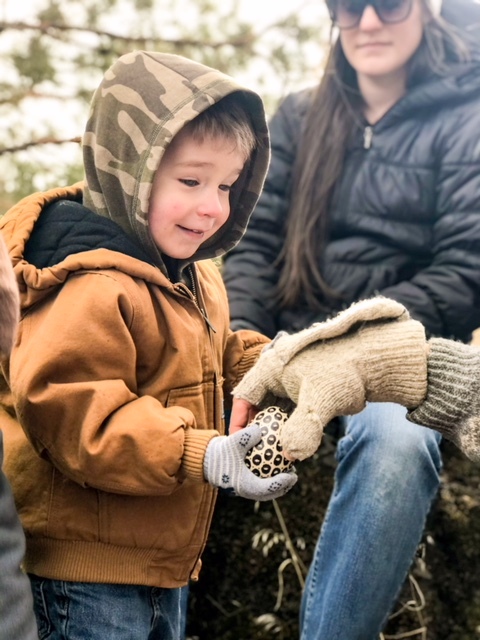 “There really wasn’t a free program in Bend where new families can hangout and get together outside” said Alexis, “that’s why this is such a great program.” Outdoor play with other children also allows kids to develop social and problem solving skills. The Tiny Explorers program is open to new families from birth to three years old, and encourages families to get their children outside at an early age. There are so many benefits to getting infants and toddlers outdoors at a young age. Time outdoors can be calming for newborns and also has the potential to reduce postpartum depression and anxiety for parents. As babies begin to develop, getting them outside can provide stimulation for all of their senses, by exposing them to different shapes, colors, and textures and by promoting language development. Additionally, backyards, parks, and natural areas provide a world of opportunity for babies to learn how to move about, fine-tune their motor skills and enhance their physical development. 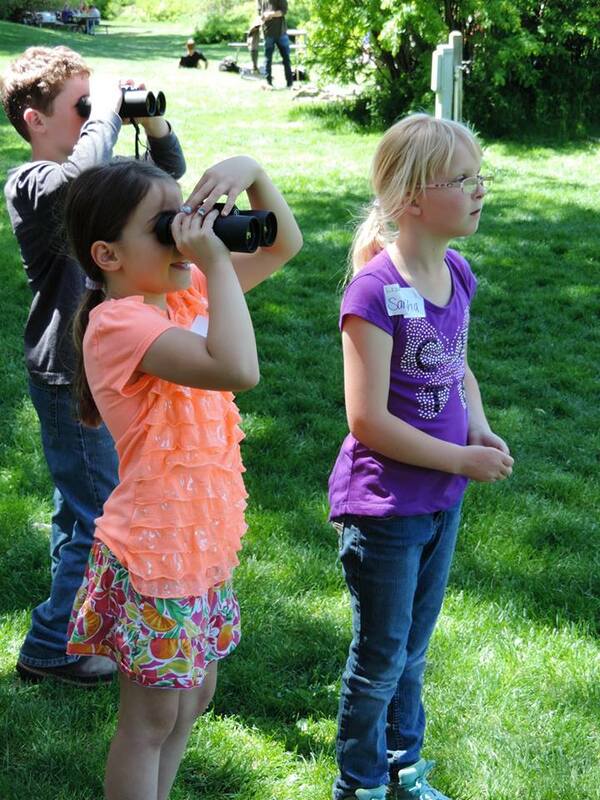 The spring 2018 Tiny Explorers program in Bend runs from March 1st through April 26th and occurs every Thursday (except March 29) from 10:00-11:00 am. The program location varies each week. Visit our event calendar or Facebook page for program locations and dates. Outings occur rain or shine. To stay up to date on Tiny Explorers events, opt-in to receive text message updates by texting tinyexplrs to 77948. You will receive no more than six text messages per month, and your information will not be shared with other groups. Tiny Explorers will also be offered in La Pine, Madras, and Prineville in 2018. Stay tuned for more details! Families that participate in the program may be eligible to access a free baby carrier and other outdoor gear to encourage outdoor time with your little one. Baby carriers are a great way to enjoy the fresh air with your baby. Attend at least one Tiny Explorer event. If you are unable to attend the dates or times offered, contact katie@childrensforestco.org to arrange alternatives. Volunteers will have sign-in sheets available at each event to track participation.